Series 13 with a pitch of just 8 mm has been specially developed for very small product transfer gaps. 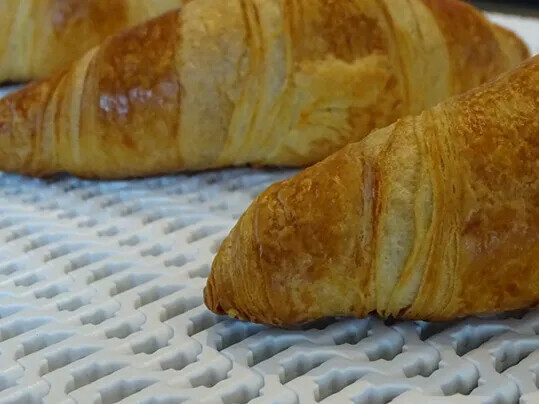 The special shape of the modules allows returns over rolling or fixed knife edges up to a radius of 3 mm, so that even the tiniest of products can be transferred properly and reliably. The transfer gap between the two belts is therefore small and the risk of damaging products or them piling up is therefore minimized. Two new models now complement the product portfolio. The S13-0 CTP with its cone top is an excellent choice for inclined conveying in the bakery and confectionery industry. 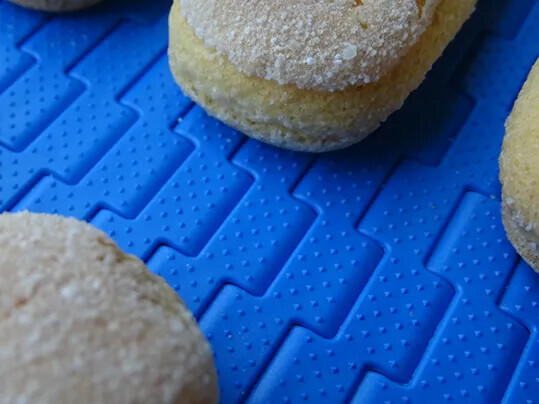 Because of their superior grip, belts with this pattern are encountered in slicers and portioning systems in the meat, fish or poultry processing segments. The second model, S13-34 FLT with its open area of 34% and a smooth surface (Flat Top) is perfect for cooling and drying processes on machinery with small returns. Furthermore, this version is also a good option when processing or making very sticky or greasy products where the belt gets dirty more quickly and tooth engagement is therefore inhibited. The teeth on the sprocket express residues (e.g. 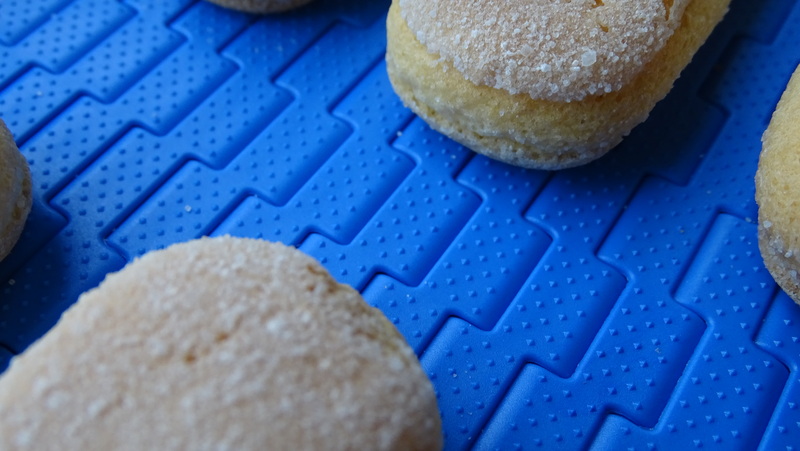 dough or grease) through the openings on the belt’s surface and therefore prevent accumulation of unwelcome dirt and product waste. The shape of the teeth and the belt’s underside enable excellent tooth engagement so that, alongside precise guidance capabilities, a high level of power transmission of up to 4 N/mm belt width is achieved. Series 13 is therefore about 60 - 67% stronger than comparable products on the market. Headless hinge pins and clip devices on both sides of the modules make fitting and removing the belt for maintenance easier and cleaning the underside of the belt comparatively simple. 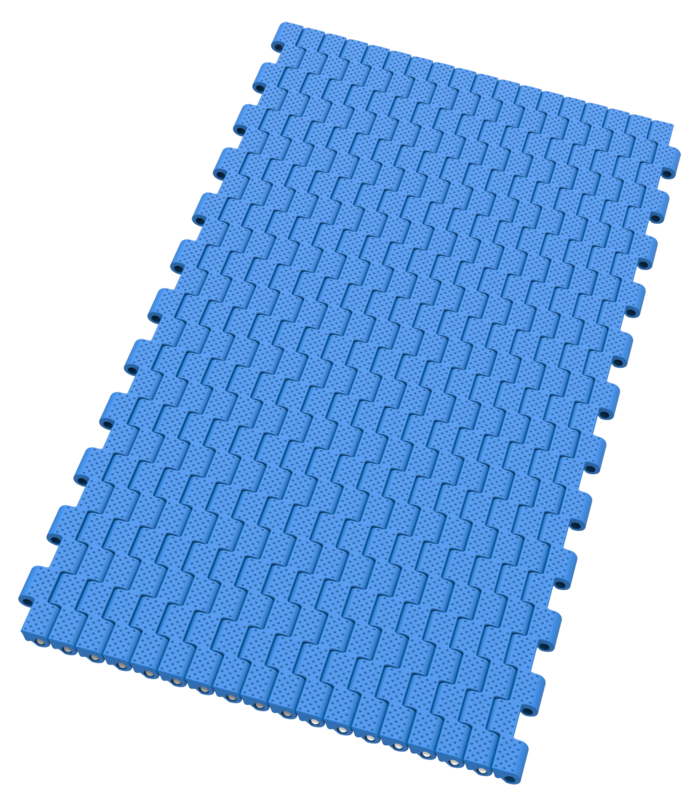 In addition to the new types, series 13 is also available with a closed, smooth surface (S13-0 FLT) and a closed surface plus an inverted pyramid pattern (S13-0 NPY), ensuring exceptional release properties when conveying wet or sticky products.